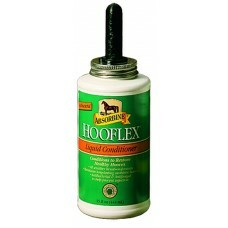 Super Penetrating Conditioner. 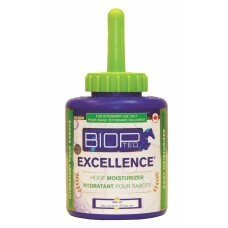 Achieves long lasting moisture balance. 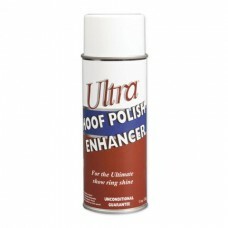 Antibacterial & anti-fung..
A water based, non-toxic polish for that super show shine. 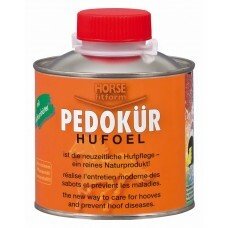 Safe for both horse and rider. 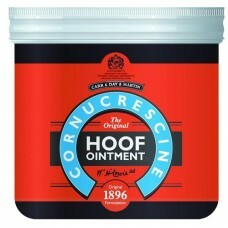 Wears off ..
Use on the sole of the hoof to toughen or harden the hoof in cases of soreness or tender footed hors..
A topical hoof dressing for hard, dry and brittle hooves. 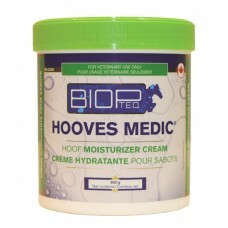 Helps restore moisture and maintain pliabi..
As an aid in the treatment of surface wounds, cuts, galls, hoof, foot and pad sores, chafes, abrasio.. 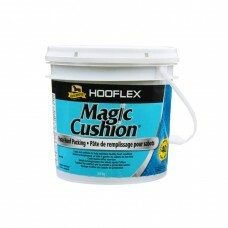 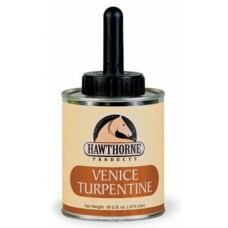 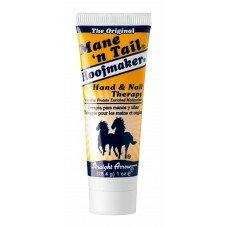 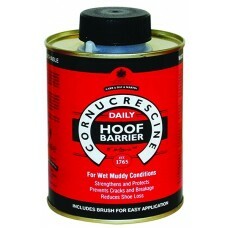 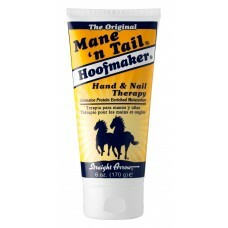 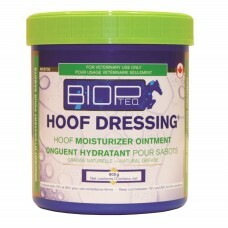 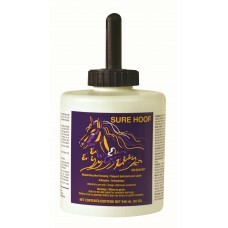 Formulated to meet the needs of hooves requiring more detailed treatment. 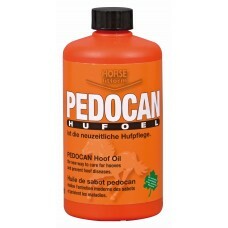 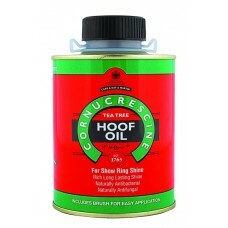 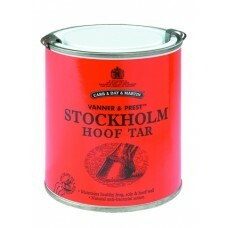 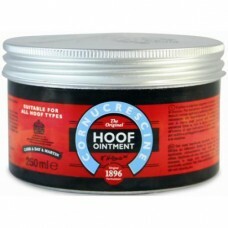 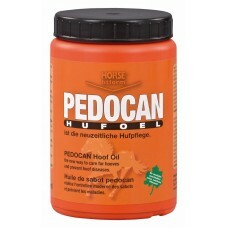 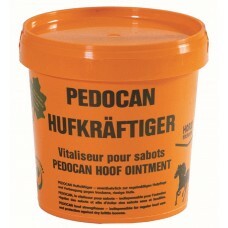 Oil format penetrates hoof..
A classic hoof-ointment paste. 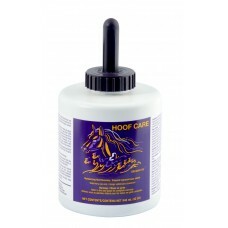 Formulated to meet the needs of hooves requiring more detailed treatm..
Special ingredients and pure vegetable oils have a positive effect on hoofs. 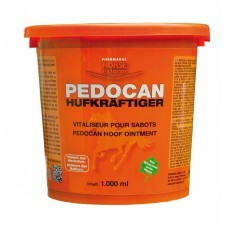 The hardener components.. 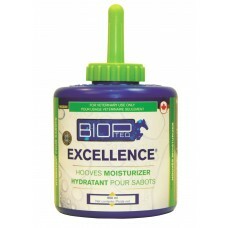 Protein rich formula that you apply with your hands. 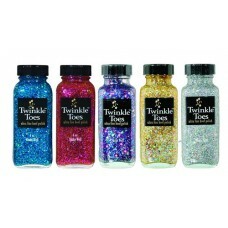 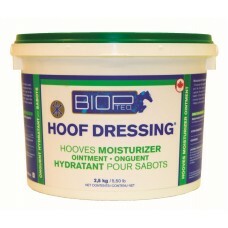 Safe and biodegradable.50 trial tubes per jar..
Makes hooves dance with sparkle and light! 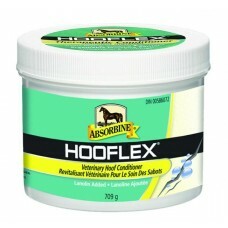 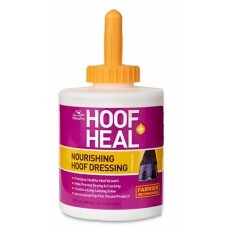 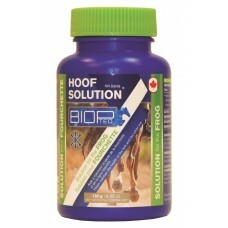 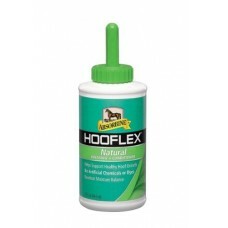 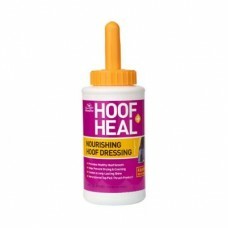 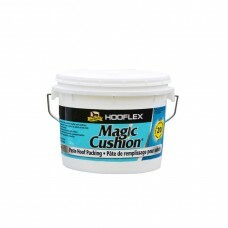 Seals and protects hooves from both moisture an.. 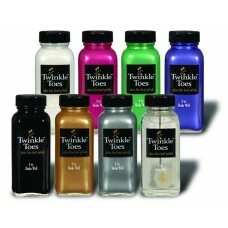 Produces a beautiful satin finish with a high gloss shine. 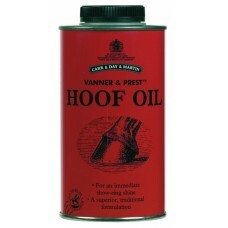 Seals and protects hooves from .. 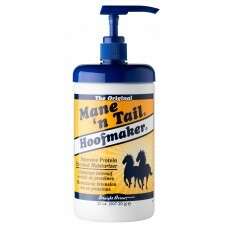 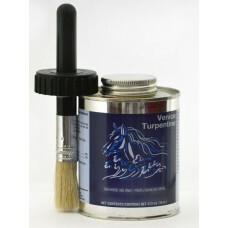 Unique spray that puts a hard, long lasting bright finish on hooves. 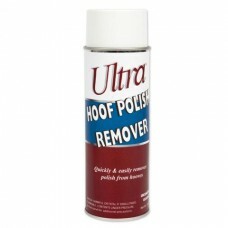 Eliminates the need to totally .. 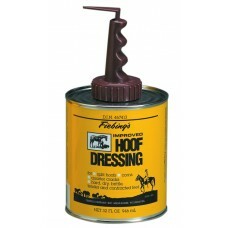 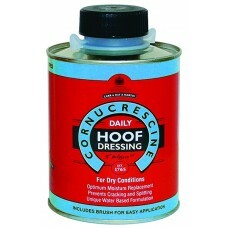 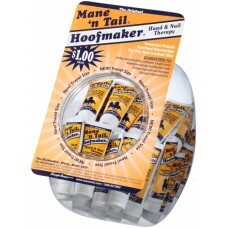 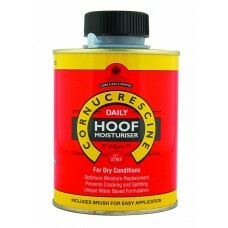 Convenient aerosol quickly and easily removes hoof polish from hooves, hands, clothes and most other..